At W.S. 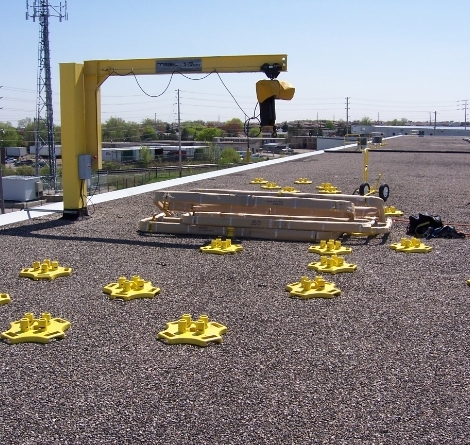 Safety Technologies we offer everything from a simple sale of a rooftop safety product, to a complete turn-key installation of products we offer or a custom product for customers. Our crews complete turn-key projects in Ontario and Quebec. A complete turn-key installation is a much more involved process and we are more than qualified to complete the project on-time and safely. If you are located outside of Ontario or Quebec, we have the expertise to help guide your team through our step-by-step safe installation procedures. We have successfully completed hundreds of projects on time and on budget for Fortune 500 companies. We are sensitive to customer's requirements for scheduling around production and work with our customers to ensure there is minimal downtime, if any, of production items during installation. Site review with customer and preparation of safe installation plan and procedure. On-site boom-truck or crane to lift materials onto elevated area. The companies we use have up-to-date safe to use machines and operators are trained as required. Our crews work with the crane company or operate small man-lifts and are qualified to do so. Our crews have up to date training and certificates in many different disciplines including working at heights, WHMIS, man-lift operator training, confined space entry (some crew members), and other required training. We use the same crews for all of our projects, meaning our crews have extensive experience in the products and safe procedures to complete our installations. Product is shipped to site and off-loaded by crew, when part of a full turn-key solution. 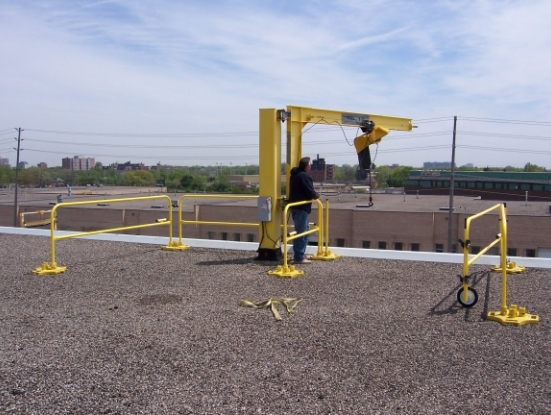 Crew follows safe installation procedures to install products, such as Safety Rail 2000. Stamped engineered drawings of recorded are provided at conclusion of project (if included in scope of work). Crew removes any packaging or materials, such as cardboard or skids, to leave site in clean condition after completion.